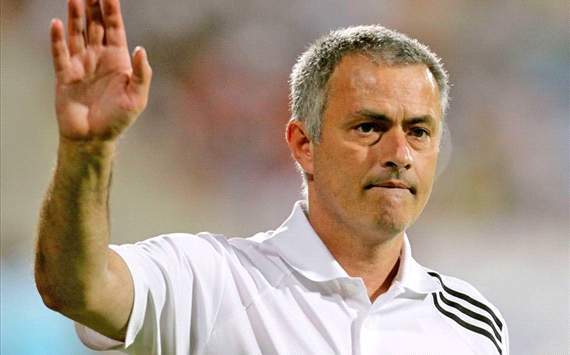 Real Madrid coach Jose Mourinho says he is still hopeful of replicating his 2012 achievements in 2013. The Portuguese saw off Barcelona to lift his first Liga title last season, but after making the perfect start to the year, the end of 2012 has gone less swimmingly. Los Blancos have endured a disastrous first half of the campaign and trail the Catalans by 16 points after the opening 17 games – but Mourinho is remaining optimistic despite that dismal start. “I hope that my wife and I remain healthy and continue watching our children grow, because they are our life,” he told Marca.com at an official club event to celebrate the New Year. The 49-year-old will return to the Madrid dugout next Sunday when his side take on Real Sociedad.